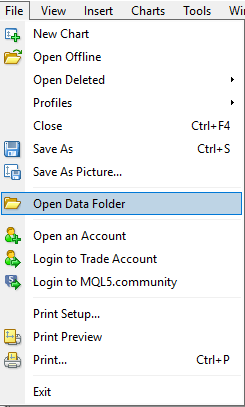 Choose the Indicators path from the menu "file"/ "Open data folder"/ "MQL4"/ "indicators"
Go to Tools menu and select Options. Select the Expert Advisors tab. 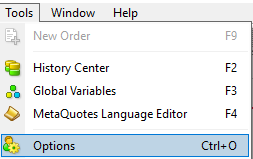 Put a tick at Allow DLL imports and click OK. 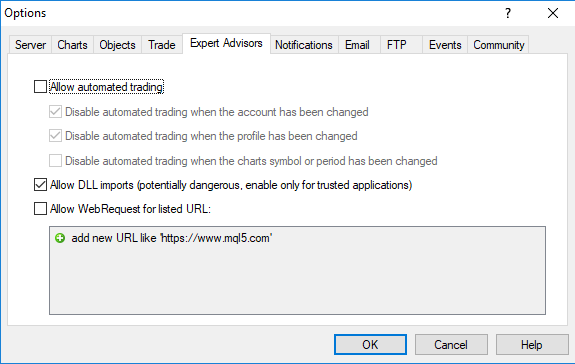 In this way, any Expert, Script or Custom Indicator, which is inserted into charts afterward, will be allowed to call DLL functions. Unless it is disallowed in its own properties. Also in this way, indicators previously inserted to the charts are not affected. During inserting indicator to the chart, in Common tab of window put a tick at Allow DLL imports and click OK. In this way, the indicator will be allowed to import library functions in the current chart only. You can also activate this window by Crtl+I or from Charts menu and selecting Indicator List. Then click the indicator name in the list and choose Edit. To start using "Intraday Indicator" you need to add it to the chart and customize Inputs. visit the page "Add to Chart and Setup inputs".